In a small room having a bed side table is not a practical solution. In this case, Urban Shelf Folding bedside shelf is a handy option. 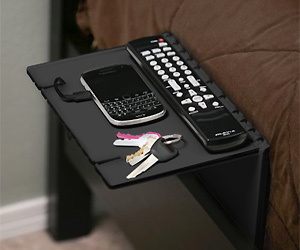 You can use this portable and space saving bedside shelf as storage for lot of small items like TV remote, keys and even doubles as iPad stand.